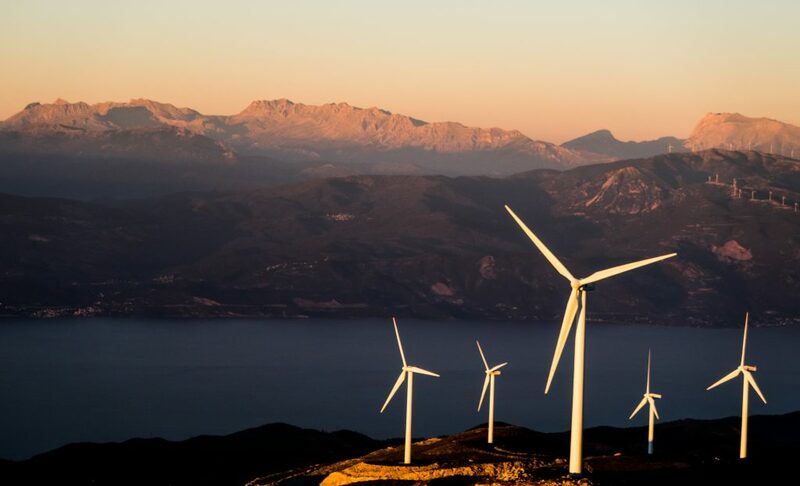 Europe has put forward ambitious targets to reduce greenhouse gas emissions, to increase energy efficiency, and to raise the share of renewable energies. Energy Informatics is developing IT-based solutions necessary to achieve these targets. We seek high-quality, original papers on smart energy systems and energy-efficient computing and communication. * ICT for energy networks, micro-grids, and management of distributed generation. * Energy-efficient mobility, charge management for electric vehicles, energy-aware traffic control, and smart grid integration of mobile storage. * Smart buildings, digital metering, occupant comfort, and user interaction. * Protocols and architectures for IT systems in the energy sector. * Data analytics for smart energy systems and platforms for data analysis. * Information systems for behavior change, market mechanisms, and business cases. * Cross-cutting issues including: cyber security and privacy protection, interoperability, verification of networked smart grid systems, and more. Accepted and presented papers will be published in the Springer Open Journal “Energy Informatics” https://energyinformatics.springeropen.com. The Open Access fee for the journal article is included in the registration fee. The conference language is English and papers must be written in English. We solicit full research papers (max. 18 pages of content plus 2 additional pages for references) as well as short papers (max. 10 pages of content plus 2 additional pages for references). Submissions must be prepared following the Instructions for Authors, see https://www.energy-informatics.eu/. This entry was posted in Call for Papers and tagged conference, energiewende on February 5, 2019 by Wilfried Elmenreich. Defensio of the PhD thesis by publication Pakistan’s Future Power Generation Mix: An Exploratory Scenario Analysis by Hanan Ishaque will take place on 13 June 2018 at 11.15 hrs in lecture hall Z.0.01. This entry was posted in Uncategorized on May 18, 2018 by Norbert Wohlgemuth. In the present day, the electric power grid faces an evolutionary step towards the smart grid. The smart grid is defined as the enhancement of the electric power grid with information and communication technology. This sort of digitisation will enable a bidirectional flow of energy and information within the power grid and provide several novel applications and allow to unlock the full potential of renewable energy technologies. To cope with the challenge of digitisation in power grids, key elements of future energy systems have to be explored and furthermore, computational methods have to be developed and refined. The Smart Grids group, located at the University of Klagenfurt, contributes to this challenge by investigating how power meter readings can be analysed to discover solutions to sustainably increase the energy efficiency of energy systems. “We carried out a measurement campaign in eight selected households to track power consumption of individual electrical appliances for over one year. The main outcome was the GREEND dataset, which was analysed to gain further insights into energy consumption behaviour”, says Andrea Monacchi, the coordinator of the campaign. On basis of such data, policies can be formulated to improve energy efficiency by shedding of standby losses, postponement to off-peak periods, replacement of inefficient appliances, and operation curtailment. The networked power meter (smart meter) represents the key element in the transition towards the smart grid since such measurement equipment provides feedback to the users, other appliances, and the electric utility. In general, smart meters serve several purposes such as billing of consumed energy, providing immediate feedback to the users, or switching loads. Smart metering and fine-grained energy data are one of the major enablers for the future smart grid and an improved energy efficiency in smart homes. On the one hand these fine-grained measurements will lead to improved energy consumption habits, on the other hand the fine-grained data produces many questions with respect to privacy issues. To ensure both, household privacy and smart meter information, load hiding techniques were introduced to obfuscate the load demand visible at the household energy meter. “The load hiding technique we developed works with devices that are already in the system. 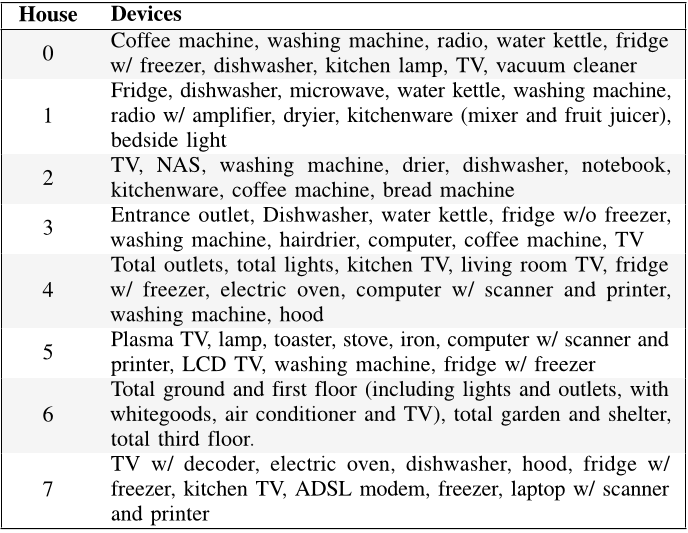 By controlling these household appliances in a certain way, your power profile becomes scrambled”, Professor Elmenreich explains. C. Klemenjak, D. Egarter, and W. Elmenreich. 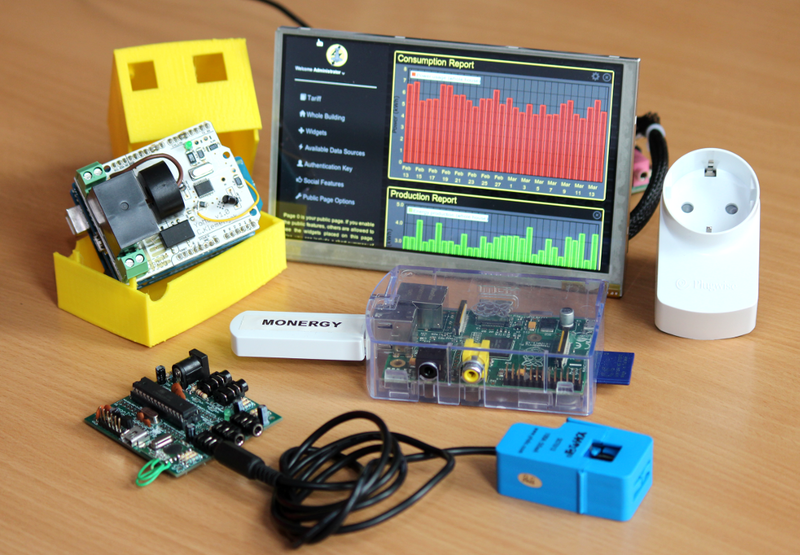 YOMO-The Arduino based smart metering board. Computer Science – Research and Development (Springer), 2016. M. Pöchacker, D. Egarter, and W. Elmenreich. Proficiency of power values for load disaggregation. IEEE Transactions on Instrumentation and Measurement, 2016. D. Egarter, V. P. Bhuvana, and W. Elmenreich. PALDi: Online Load Disaggregation based on Particle Filtering. IEEE Transactions on Instrumentations and Measurement, 2015. D. Egarter, C. Prokop, and W. Elmenreich. Load Hiding of Household’s Power Demand. IEEE International Conference on Smart Grid Communications, 2014. A. Monacchi, D. Egarter, W. Elmenreich, S. D’Alessandro, and A. M. Tonello. GREEND: An energy consumption dataset of households in Italy and Austria. In Proc. IEEE International Conference on Smart Grid Communications, 2014. Data will be one of the most important resources in the future. Among other timely research questions, activities in energy informatics explore how data provided by advanced metering infrastructure (AMI) can be utilised in the most adequate and efficient way. In order to record energy data, the Energy Informatics Lab provides a wide range of measurement instruments such as smart meters, oscilloscopes, and self-designed power meters. Furthermore, modern computer infrastructure allows to evaluate novel computational methods for prediction and user feedback for future energy systems. 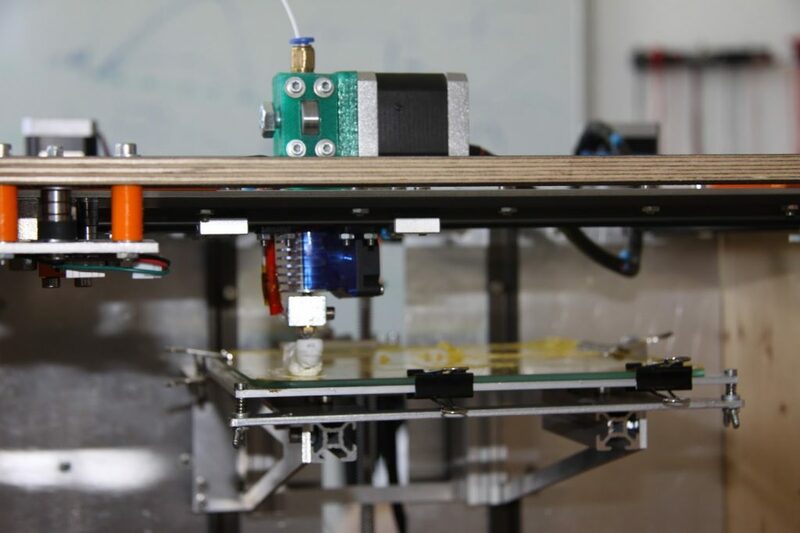 The Energy Informatics lab also integrates a well-equipped soldering work station and a 3D printer, which allows the researchers to craft prototypes and custom enclosures for all kinds of measurement equipment. “Previously our students often had problems apply the theoretic concepts they learned. The Energy Informatics Lab offers the possibility to try out things in practice, which gives them a different perspective,” states Professor Wilfried Elmenreich. More detailed information can be found in our research blogs Energy Informatics, The Smart Grid, and on the institute’s web page Networked and Embedded Systems. This entry was posted in News on July 21, 2017 by Christoph Klemenjak. Am Institut für Produktions-, Energie- und Umweltmanagement, Abteilung Nachhaltiges Energiemanagement, Fakultät für Wirtschaftswissenschaften, im Beschäftigungsausmaß von 100 % (Uni-KV: B1) befristet auf die Dauer von 4 Jahren. Das monatliche Mindestentgelt für diese Verwendung beträgt € 2.731,- brutto (14 x jährlich) und kann sich auf Basis der kollektiv-vertraglichen Vorschriften durch die Anrechnung tätigkeitsspezifischer Vorerfahrungen erhöhen. Voraussichtlicher Beginn des Angestelltenverhältnisses ist ehest möglich. Diese Stelle dient der fachlichen und wissenschaftlichen Bildung von AbsolventInnen eines Master- bzw. Diplomstudiums mit dem Ziel des Abschlusses eines Doktorats-/Ph.D.-Studiums Sozial- und Wirtschaftswissenschaften. Bewerbungen von Personen, die bereits über ein facheinschlägiges Doktorat bzw. einen facheinschlägigen Ph.D. verfügen, können daher nicht berücksichtigt werden. Bewerbungen sind mit den üblichen Unterlagen (Anschreiben, Lebenslauf, Zeugniskopien und Arbeitszeugnisse) bis spätestens 5. April 2017 unter der Kennung 179/17 an die Alpen-Adria-Universität Klagenfurt, Dekanatekanzlei/Recruiting, ausschließlich über das Online-Bewerbungsformular unter www.aau.at/obf zu richten. Nähere Auskünfte erteilt Univ.-Prof. Dr. Nina Hampl, E-Mail: nina.hampl@aau.at. Es besteht kein Anspruch auf Abgeltung von entstandenen Reise- und Aufenthaltskosten, die aus Anlass des Aufnahmeverfahrens entstehen. This entry was posted in Jobs, News, Uncategorized on March 29, 2017 by Christoph Klemenjak. Energieeffizienz und des Anteils erneuerbarer Energien ehrgeizige Ziele gesetzt. Die Energieinformatik trägt mit der Entwicklung von IT-basierten Lösungen zur Erreichung dieser Ziele bei. Die D-A-CH+ Energieinformatik Konferenzreihe dient der Förderung des Austausches zwischen Hochschulen, Industrie und Dienstleistern auf diesem Gebiet in Deutschland, Österreich und in der Schweiz. Dabei werden die Anwendung von Konzepten aus der Informatik, aber auch angrenzender Fachgebiete für Energiesysteme diskutiert und aktuelle Forschungs- und Umsetzungsprojekte werden vorgestellt. Einreichungen werden einem double-blind Review-Prozess unterzogen. Akzeptierte Papers werden im Springer Journal Computer Science – Research and Development (CSRD) veröffentlicht. Konferenzsprache ist Englisch. This entry was posted in Call for Papers and tagged conference, smart grid on March 20, 2017 by Wilfried Elmenreich. Googles Ngram-Viewer erlaubt die Analyse von Wort und Phrasenhäufigkeiten über einen umfangreichen Textkorpus der sich über ein Jahrhundert erstreckt. Wir haben die Worthäufigkeiten von den Wörtern Energie, Umweltschutz und Nachhaltigkeit untersucht. Der Begriff Nachhaltigkeit ist dabei noch der am seltenste verwendete, die Tendenz zeigt aber stark nach oben. Dies zeigt die steigende Relevanz, bestätigt aber auch Beobachtungen von einer inflationären Verwendung des Begriffs. Der Begriff Umweltschutz scheint seinen Höhepunkt bereits hinter sich zu haben. Umweltschutz ist sicher noch ein wichtiges Thema, aber es scheint es hier zu Substituierungen durch andere Begriffe wie zum Beispiel Nachaltigkeit zu kommen. Interessant ist das Auf und Ab des Begriffes Energie in den letzten Jahrzehnten. Der derzeitige Abwärtstrend überrascht sicher viele, aber es ist zu beachten, dass dies von einem hohen Niveau ausgeht – “Energie” ist mit Abstand der am häufigsten verwendete der drei Begriffe. This entry was posted in News and tagged energiewende, energy distribution, sustainability on October 27, 2016 by Wilfried Elmenreich. This entry was posted in Jobs and tagged Dissertation, smart grid, smart microgrid on July 22, 2016 by Wilfried Elmenreich. Das fertiggestellte Paper ist jetzt auf [Herrmann & Savin paper] verfügbar. This entry was posted in Uncategorized and tagged agent-based model, differential evolution, electricity grid, energy grid, feed-in tariff, renewable energy on January 12, 2016 by Norbert Wohlgemuth. The 9th Workshop on Power Line Communications (WSPLC 2015) will take place at the University of Klagenfurt, Klagenfurt, Austria, on 21-22 September 2015. We have an intense and interesting two days program that covers relevant topics in power line communications with emphasis to PLC in the context of smart grid, smart metering, field trials, roll-outs, standardization, advances and next generation solutions. All participants are kindly required to register at: http://ecs.aau.at/WSPLC15/Registration.html possibly at the earliest convenience. Travel and hotel information is also available in the conference web site. Looking forward to meeting you at WSPLC in Klagenfurt ! This entry was posted in Veranstaltung and tagged power-line communication, smart grid, workshop on August 21, 2015 by Wilfried Elmenreich.